Compassionate Care & Quality Medicine! 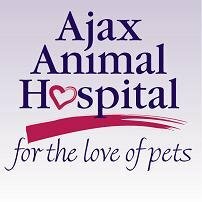 The Ajax Animal Hospital has been proudly caring for the pets in our community for over 48 years. including surgery and dentistry. 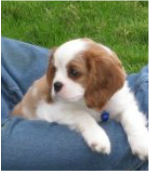 We are also well-prepared to help your pet in case of illness/injury. serving pets from Ajax, Pickering, Whitby, Oshawa and the surrounding area. Please call 905-683-6430 and let us know how our Ajax Vets can help you & your pet. Check back here often to see what the AAH team has been up to! Click on WHAT'S NEW AT AAH! to catch up with what our team has been doing lately. This section is updated often with info about new treatments & procedures! In September, 2017 we launched Ajax Animal Rehabilitation & Fitness Centre including our Underwater Treadmill Hydrotherapy service. Dr. Jones is receiving new patients and referrals for Rehabilitation Therapy, Surgical Recovery, Senior Pet Mobility and Sport Dog Assessments !!!!!! Assessment & Treatment by Appointment only. Find us on Facebook, Instagram, Twitter and YouTube!